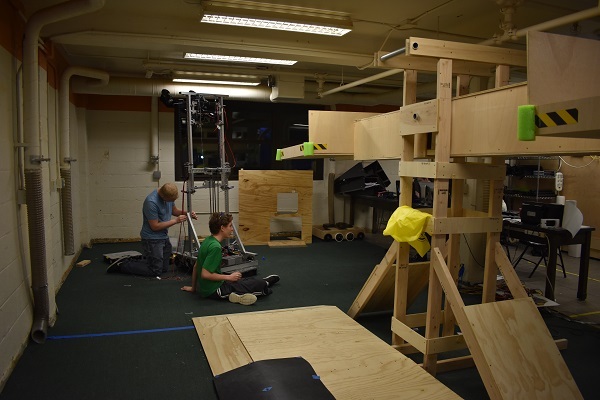 As we wind down our first big robot sprint, the chassis and elevator are both nearing completion. 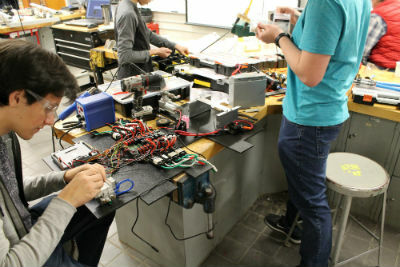 We completed the build of our practice robot’s “belly pan”, or electronics board. Currently, parts of our team are programming LED lights as indicators for when our robot does a certain task such as picking up a cube. We are completing the battery cart that is able to hold 9 batteries. 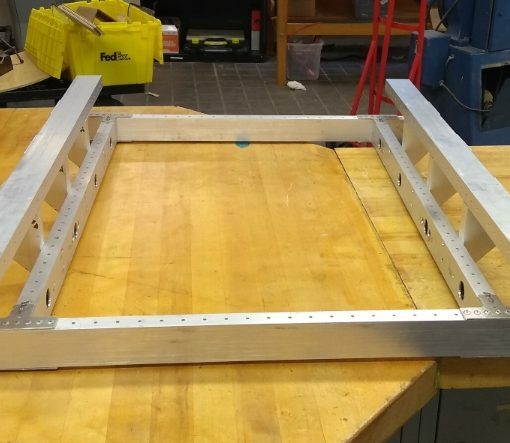 Most of our chassis is done and we’re adding in brackets and rivets. 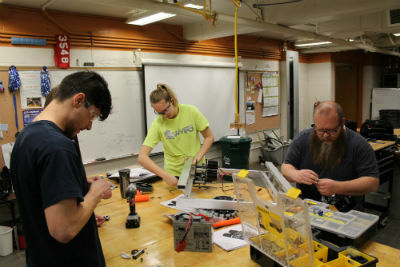 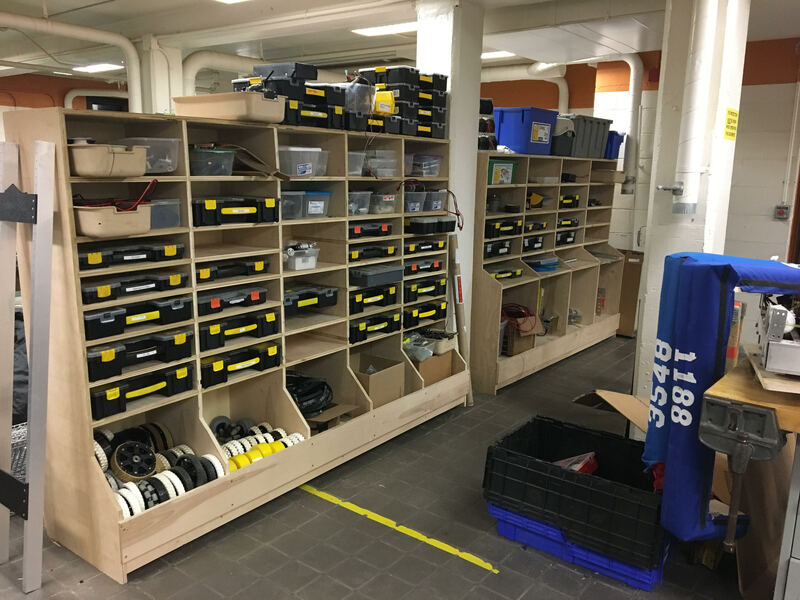 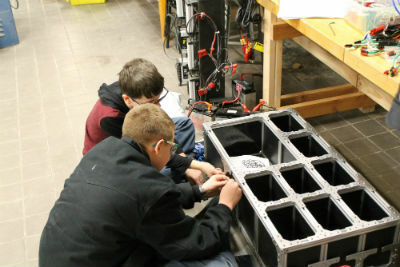 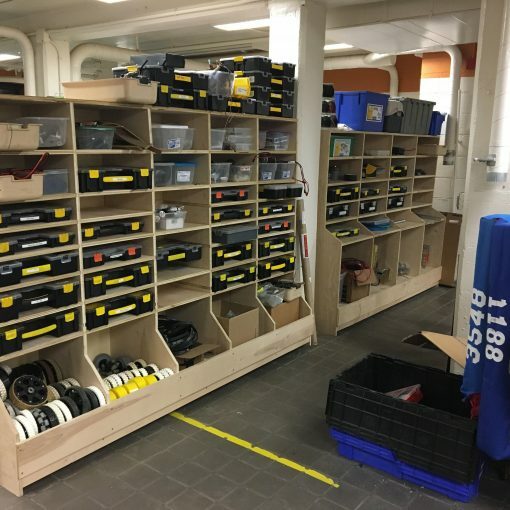 Once the chassis and elevator sub-assemblies are complete, we will integrate them and our robot will take shape. 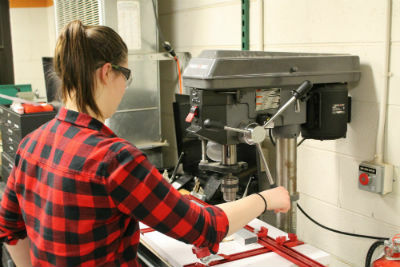 In other big news, we finally started to make our first cuts on our brand new CNC machine. 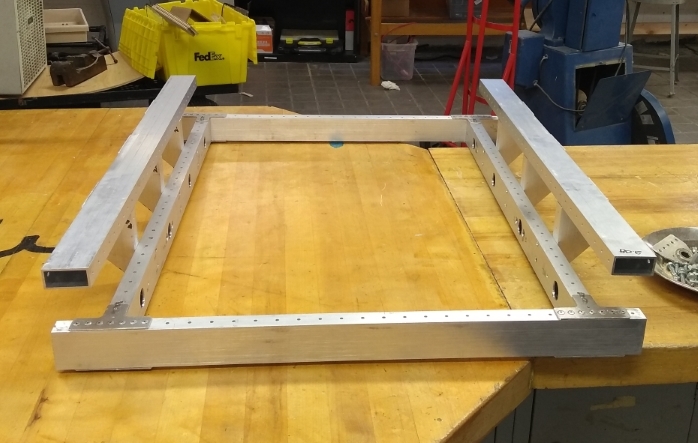 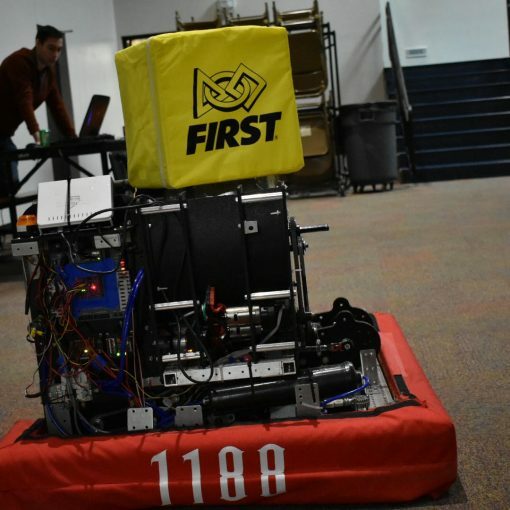 This machine is a giant leap forward in manufacturing capability for our team and we’re looking forward to using it to manufacture some of the parts for our competition robot. 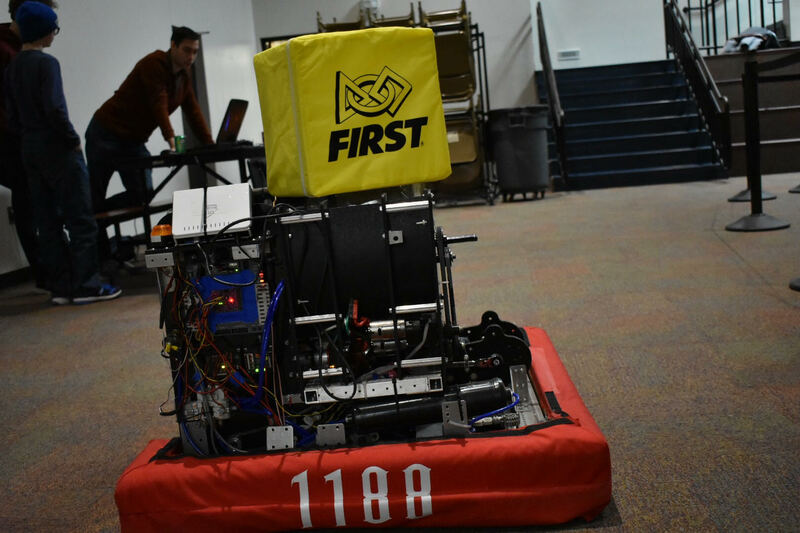 Next post Racing towards the goal!